DHSEM leading a State Emergency Operations Center briefing on current weather situation and resource requests from local jurisdictions. Currently there are 18 emergency operations centers activated at the city, county and state level. 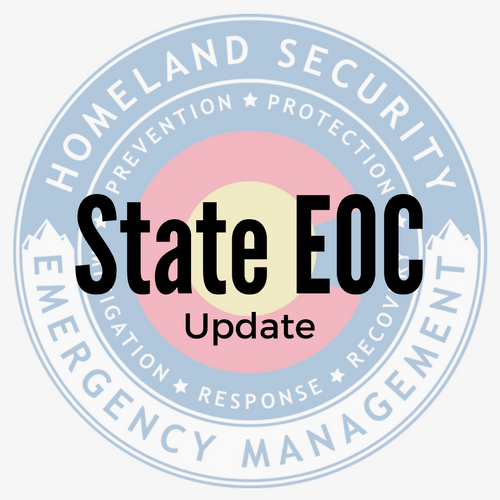 The State Emergency Operations Center is currently staff with nearly 30 representatives both within the facility and remote support. One warming center has been opened in Elbert County. Level 3: Monitoring blizzard conditions (northeast), fire danger (southeast). Supporting response and recovery for incidents across the state. NOTE: The SEOC status may elevate to Level 2 later in the day to support local needs and resource requests. NOTE: The State EOC is monitoring expected impacts from a spring storm on track for Wednesday afternoon through Thursday morning. Check National Weather Service website for updates. 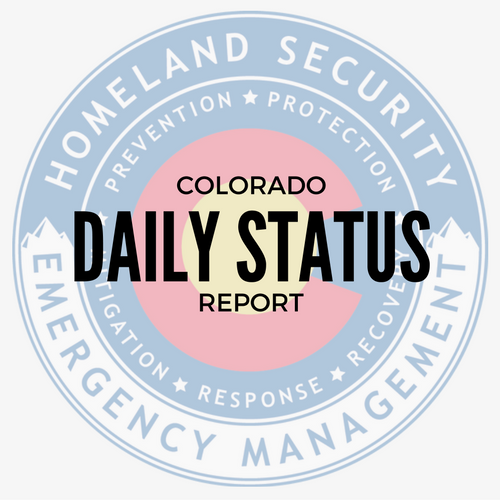 Level 4:The State EOC is tracking activities at the Polly A Deane dam in Jefferson county related to seepage, and the Black Bridge Fire in Bent County. 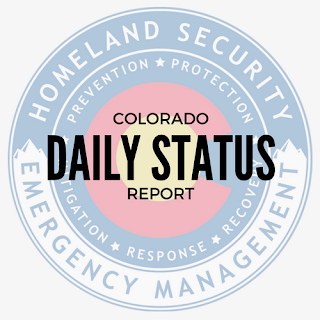 The State EOC will briefly elevate to Level 2 for a presentation to Governor Jared Polis and cabinet members. NOTE: The State EOC will move to Level 1 Wednesday, April 3, for a quarterly exercise with local, state and federal partners.